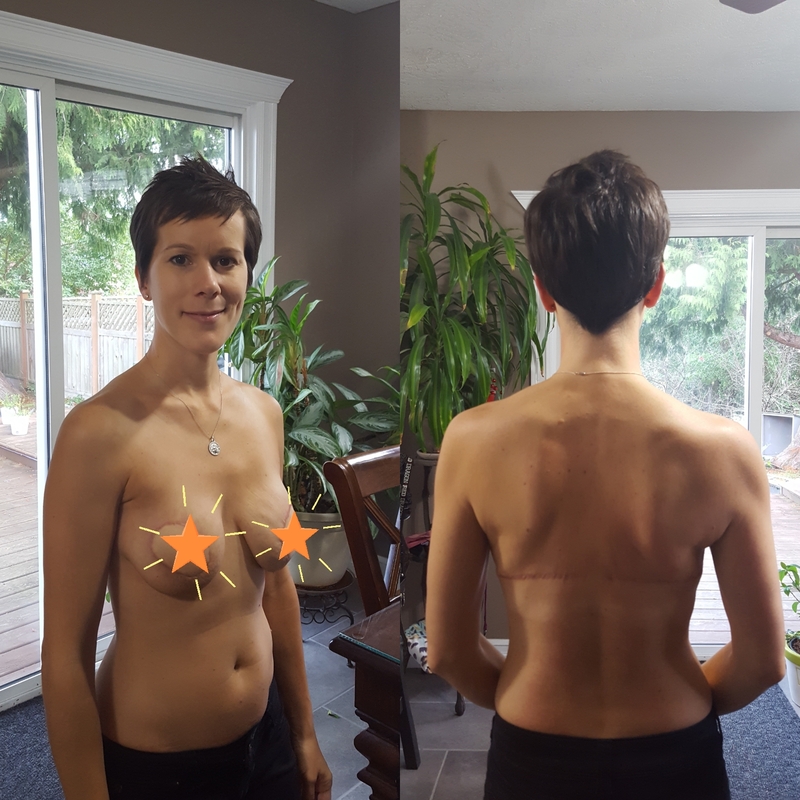 It’s hard to believe that it’s already been 6 months since my bilateral mastectomy and immediate latissimus dorsi flap breast reconstruction. Prior to my surgery, I found a lot of the information online to be focused on mastectomies using a tissue expander or implant only and it was difficult to access any personal first-hand experience with this particular procedure. I’ve posted previously on this procedure (here and here) but I wanted to open the conversation more and share some of the good, the bad, and the ugly post lat flap. I didn’t have any major complications post surgery. The scars across my breasts and back have smoothed out. What began as raised bumpy incisions, faded out to smooth scars. 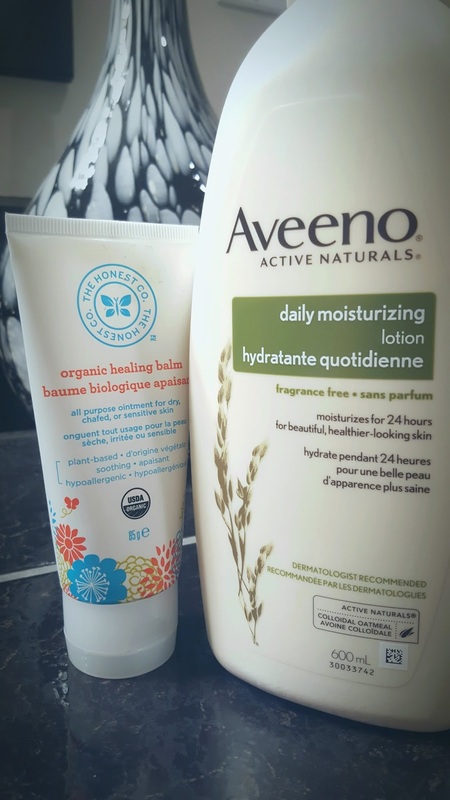 I’ve been using this Honest company healing balm which works like a dream as well as this Aveeno daily moisturizing lotion to keep the skin and scar tissue hydrated. Also, for aesthetic purposes, my plastic surgeon made sure to cut the incision across my bra/bikini line so it can be easily covered up if desired. The tightness in my back has eased up. I went from walking like the Tinman from Wizard of Oz to feeling a lot more relaxed in my gait. Physiotherapy sessions provided me with a good list of exercises and stretches that I could easily do at home including working with resistance bands. I also took up this 30-day yoga challenge with Adriene which incorporated many of the poses recommended by my physiotherapist to stretch the back and chest muscles. The lat flap has given my breasts a more natural appearance than just an implant alone. Because I had radiation prior to my mastectomy, the skin and tissue were really tight leading to possible issues with asymmetry. By using a piece of healthy tissue from my back and transferring it to the middle of my breast, it has allowed for more elasticity of the skin and offset the effects of radiation. Since I don’t wear a bra most times, I have to be very careful with my clothing choices. Anything white or light coloured easily shows the scars or lines through my shirt. I find myself trying on top after top with my eyes going straight to my chest. It’s hard not to notice something that I’m hyper aware of so I’ve begun sticking to darker colours or clothing made out of thicker material. The tightness across my back. I know, I know. I just said that was getting better BUT it is still there. I find myself often explaining to people that it feels like I’m wearing a bra all the time that’s a little too tight in the band. Both my surgeon and oncologist recommended seeing a massage therapist to break down the scar tissue and also help with some of the tension on my affected side. I feel like I’m overcompensating at times and still have some issues with cording around my shoulder. 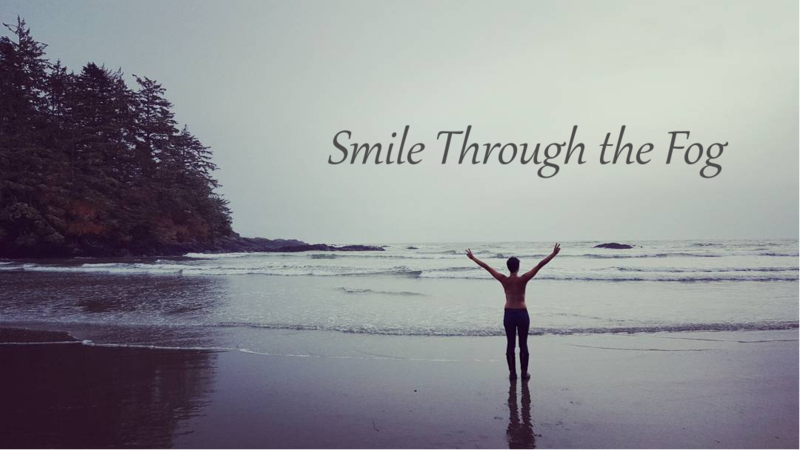 While the yoga has helped a lot, it still needs a lot of deep tissue release (and time) to get things moving again. The loss of sensation in my back. While the appearance doesn’t bother me so much, it is troublesome not being able to feel a 2-inch wide band across my entire back. I have to look in the mirror when applying lotion to my scar as I can’t feel whether I’m applying it on the right area or everywhere but. It’s an eerie feeling. I once felt a needle like poke in my back around the scar line and wondered if I had been stung by a bee. It can be disconcerting not being able to identify pain, heat, or sensations in part of my back. 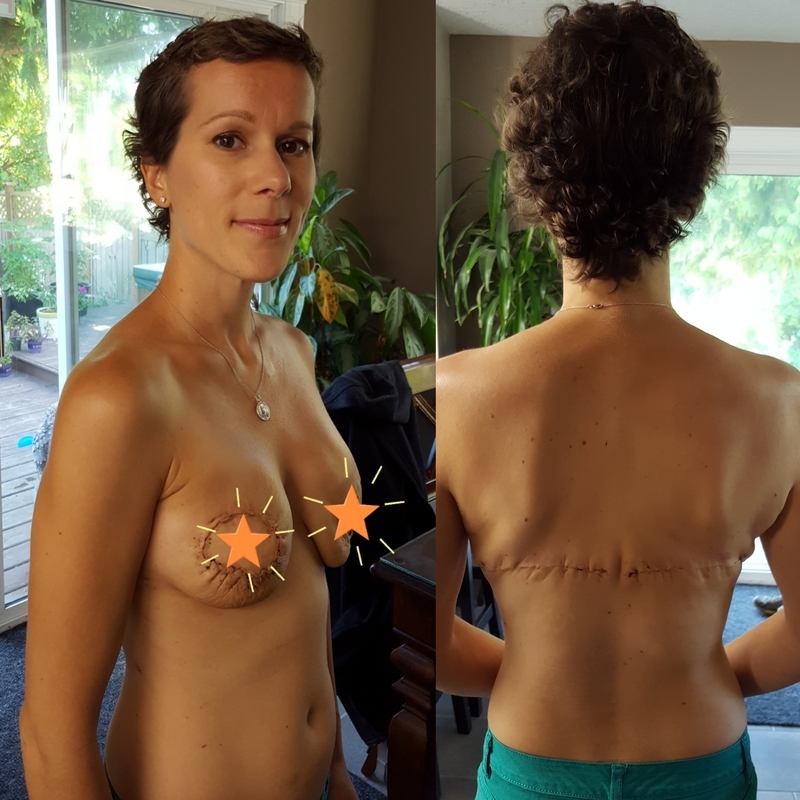 Am I happy overall with my decision to have breast reconstruction? Yes. But am I anxious to have all of these surgeries done and over with? Absolutely. I’ve spent so much time anticipating the end of surgeries and this whole breast cancer saga that I find myself constantly trying to push appointments ahead of schedule to speed things up. I am growing impatient and want nothing more than to put this all behind me. After my implant exchange surgery, I had my hopes up of being one and done. But I experienced the same disappointment that many women experience after breast reconstruction. The dents, the harsh edges, the loose skin. But I’ve come to have more respect and compassion for my body. It may not be perfect but it’s a work in progress. Next step is seeing my plastic surgeon next week to discuss revisions and hopefully close this chapter once and for all.